We Buy Houses in Katy TX and anywhere in the Greater Houston Area, regardless of the condition. Need to sell your house FAST in Katy, TX? Wondering “how do I sell my house fast in Katy TX” or “who will buy my Katy TX house?” We’re here to help, Lennox Home buyers is the proud local home buying company in Katy Texas and the Greater Houston real estate market. 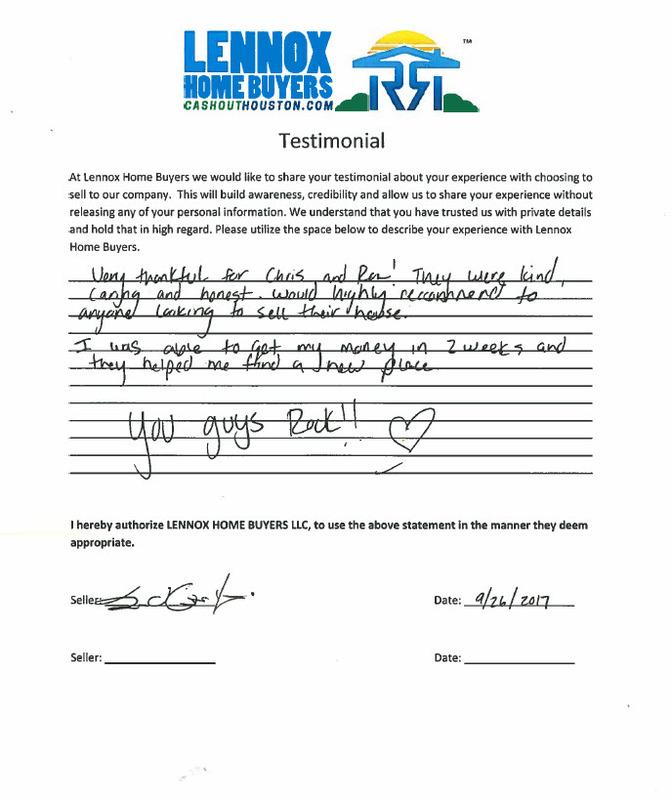 Lennox Homebuyers has been in business for over a decade as the #1 Home Buying Company in Houston TX, will buy your Katy house as-is. That’s right; we’ll buy your house in its current condition! There’s no need to make repairs or renovations, or pay to get rid of the stuff you don’t want – we handle all of it! 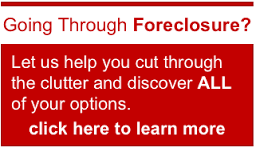 Are you behind on mortgage and may Foreclose or wanting to prevent foreclosure? Do you have Unwanted Rental Property? Did You Inherit An Unwanted Property/Probate? Need To Sell Your Home Fast or relocate? NO Realtors, Clean Ups, and Months of Waiting. Avoid The Entire Listing Process And Simply Sell Your Home To Us! Perhaps you’ve tried to sell your Houston house but are running into roadblocks. Many homeowners have found that selling a house the traditional way with a real estate agent is simply not the best option. 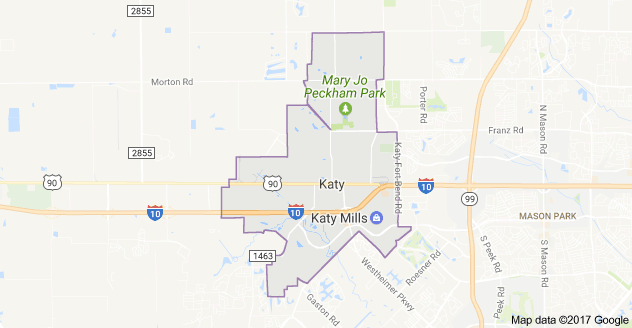 We buy houses in Katy TX AS-IS. 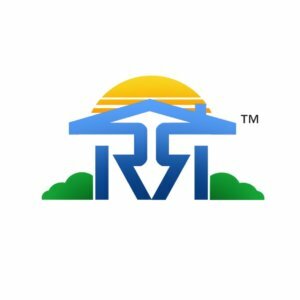 We are experienced and local real estate professionals committed to fulfilling our clients’ needs rapidly while making the process as simple and hassle free as possible. Hundreds of homeowners have sold their homes the easy way with our SIMPLE 3 – STEP PROCESS As you know, there can be lots of pitfalls when selling a house the agent route, including: having to clean up and repair the property so it shows well, finding an agent who you can trust and who can deliver on their promise (selling your house quickly), signing a contract that binds you to an agent for a certain term, the piles of paperwork you have to sign, shuffling paperwork back and forth from buyer –> to agent –> to you… and back. 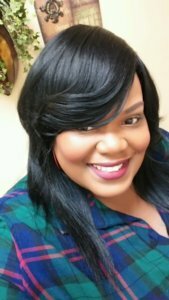 We Buy Houses In Katy TX For Cash. No repairs – No Fees – No Headaches! We are the “We Buy Houses Houston” home buying company and we serve all of the Greater Houston area including Katy TX. 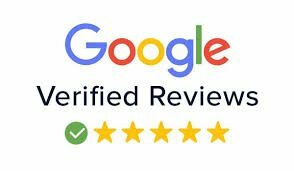 We are local to Houston Texas with more then almost a decade of experience and over that period we have worked with hundreds of homeowners who needed help through their unique situation and to sell their homes quickly for a fair price. Yes…we buy houses in Katy TX for cash and we’d love to make you a fair all-cash offer for your home regardless of your situation or the condition of the property. We buy houses Katy TX as-is and can help you get rid of that burdensome property no matter what the condition is. If the house is in BAD shape and you don’t want to (or can’t) fix it up… NO problem, we’ll buy it AS-IS. If you need to get something done quickly, we can close in as little as 2 weeks because we buy houses with cash and don’t have to rely on traditional bank financing.